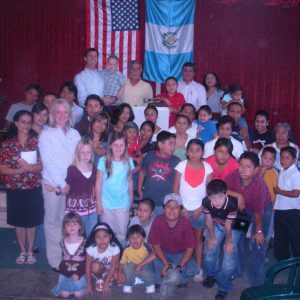 For two years, I lived in Guatemala with my family while my parents did missionary work. Living in a foreign country was the single best experience of my young life. The lessons that I learned and the experiences that it gave me are memories that I would not change for the world. Living in Guatemala significantly shaped who I am and is the main reason that I want to be a social worker. However, not all the experiences were positive ones. My family always “stuck out like a sore thumb” in public. My dad towered in height over the Guatemalans and my mom, sister, and brother all had bright blonde hair. We looked so physically different from the native Guatemalan citizens! People would stare at us and ask to touch our skin and hair. My three siblings and I always had each other, but even then I was very self-conscious about the color of my skin and the texture of my hair. I truly felt uncomfortable. So how does your child, who joined your family through international adoption, feel about be ing a minority in a country where everything is brand new to them? Hopefully, I can help you form a better understanding of how your child may feel by sharing my own experience. 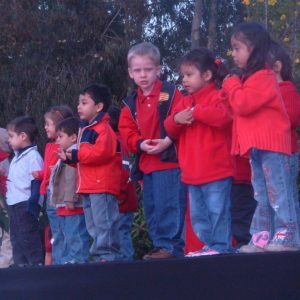 When we first moved to Guatemala, I was overwhelmed by the new language, culture, and countryside. Everything was drastically different from the small, country town that I had grown up in Indiana. I was used to fields of corn and beans, as far as my eyes could see. I was accustomed to American holidays, American culture, and English language! All of a sudden, I was being spoken to in Spanish and driving through steep mountains and volcanoes. I was experiencing a new culture that was very different from what I was familiar with. Everywhere we went people would stare at us and try to talk to us in broken-English. I often found myself feeling very insecure and afraid. We were different from everyone around us and it was very obvious. I missed being able to go the simple places, like the grocery store, without being stared at or watched. Honestly, I don’t think that most people meant to stare. They just saw someone that looked completely different from them and they were curious. For a younger child, it made me feel uncomfortable and like I didn’t belong in the place that I was living. One of the things that helped me to adjust was becoming friends with a few other American missionary kids. It allowed me to talk in English and to be able to share my culture and traditions with someone outside of my family. It gave me a place to feel connected to people and to feel at ease in my own skin. It was important to be around people that shared a similar perspective and background. I believe that this is something that is hard to fully understand until you’ve experienced it first-hand. to people than their color of their skin. Everyone has a different story to tell and different cultures and traditions that are important to them. It showed me that what’s more important than the color of my skin is how I act and how I treat people. My parents believed it was important to celebrate American holidays that were not celebrated in Guatemala, such as Thanksgiving. Combining American and Guatemalan traditions made every holiday even more special. It made me feel as if I belonged in two places, which is a very comforting feeling. Even now, after we’ve been back in Indiana for 9 years, we still celebrate Christmas as Guatemalans by staying up until midnight to open presents on Christmas Eve. Keeping a little piece of Guatemalan tradition in our lives helps us to remember our adventure and to feel connected to Guatemala. Having a better understanding of how your child might feel living in a new country, not looking the same as others around them, you can help them not only adjust but thrive in the healthiest way possible. You will be able to better empathize with what they are going through and how they feel. You can help them feel connected by encouraging them to be around people who look more like them or have similar backgrounds or language. It will also benefit you to understand why their culture or traditions from the birth country may be important to them. It can be a great way for the rest of your family to learn about and appreciate a country that is now part of your family story. Being in a new place and being the minority the majority of the time can be very scary. But, it can also allow for a great amount of personal growth and understanding of the world around us.